Beautiful duplex of 80 m2 with luxurious services ideally located in the heart of the historic center 2 steps from the cathedral and Christmas steps in pedestrian zone. Possibility of parking (extra 12 euros / day). This VRBO was great - very elegant. Great location. Really nice to have butter, jelly and other condiments in the refrigerator. Washing machine was great to have. Christine and her daughter, Stephanie, were very responsive. Location was amazing. Would definitely recommend! 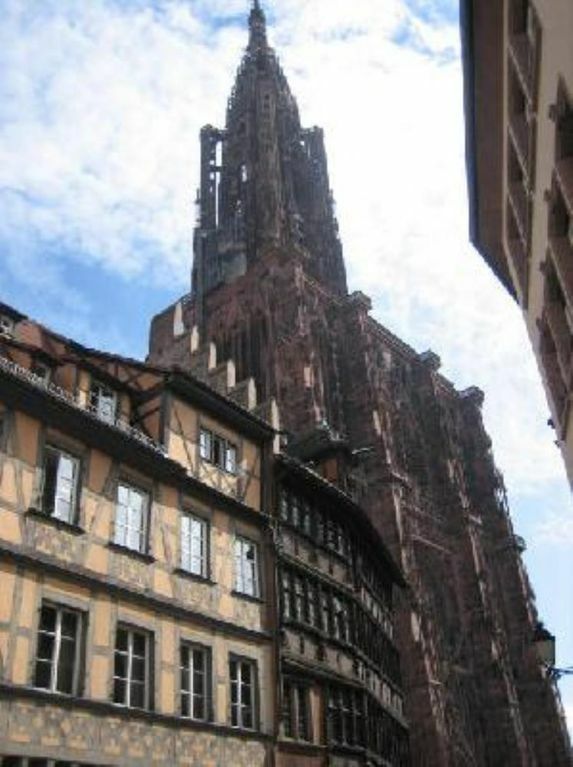 The flat is in a secure building in the middle of Strasbourg, just steps from the Cathedral. It conveniently has an elevator which is helpful for luggage. The apartment was spacious, beautiful and there was plenty of room for a family of four. It is steps away from all the shops, restaurants and activities. It got a bit loud in the evening due to a restaurant across the street. However, the host provided ear plugs. There was construction in the morning which was also extremely disruptive, but I think this might be finished. The refrigerator was stocked with essentials and the kitchen was well equipped. The Nespresso machine was a great way to start every morning! The washing machine was out of service, which was a bit disappointing since I had to hand wash a few items. The wifi worked well and it was great to have 2 bathrooms. We enjoyed our stay and would love to have the opportunity to stay here again! Très bon emplacement au pied de la cathédrale. Au coeur des marchés de Noël. Gentillesse de l'hôte d' accepter les arrivees tardives et de penser aux nécessaires pour le pdj. "Appartamento incantevole in una location nel cuore di strasburgo. Forniture di pregio e ampi spazi luminosi rendono il soggiorno incantevole. La posizione nel cuore della città fa dell''appartamento sicuramente un location ideale dove soggiornare"
"Appartement très élégant, idéalement situé, accueil de la propriétaire chaleureux : que du bonheur !"